This is a short chapter from our upcoming book "Lockerbie". The book is the basis for a film by a multi-Oscar nominated director. 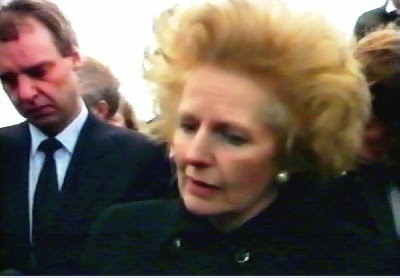 If you are an admirer of Margaret Thatcher, you may be in for a shock when you read this. Chapter 7. The Lady’s not for Remembrance. The Downing Street Years, the official memoirs of former Prime Minister Margaret Thatcher, became an immediate best seller around the globe. 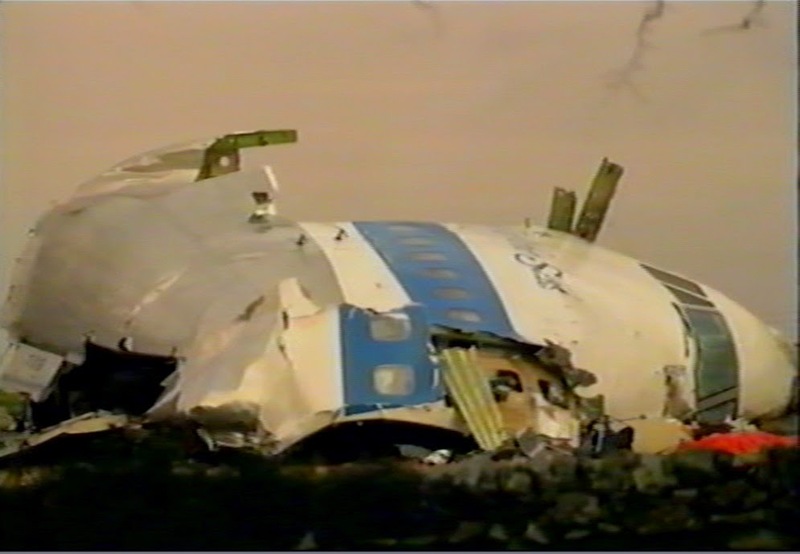 One day after the Lockerbie explosion she walked upon the field where lay the crushed cockpit of Maid of the Seas. By the Church of Tundergarth Main she stood wrapped against the Scottish cold, around her across the hills and streets and gardens lay two hundred and seventy bodies and bits of bodies and a broken town. Her memories regarding other happenings around the time of Lockerbie were interesting. While at the Rhodes European Council of December 1988, she was invited by German Federal Chancellor Helmut Kohl to meet him at his home in the charming village of Deidesheim near Ludwigshafen in the Rhineland-Palatinat. During a subsequent visit in the spring of 1989, she remembered that "lunch was potato soup, pig’s stomach (which the German Chancellor clearly enjoyed), sausage, liver dumplings and sauerkraut." They drove together to the great cathedral at Speyer, in whose crypt were to be found the tombs of at least four holy roman emperors. She recalled that as the party entered the cathedral the organ struck up a Bach fugue. In July 1989, on a visit to the USA, she remembered standing in the heat of Houston, Texas, and remained untroubled in the hot sun. The Americans had fitted underground air conditioning and blew cool air from below so that the assembled dignitaries would feel comfortable. Among the important international events of 1990 she mentioned the restoration of relationships with the Syrians. She related that immediately after the invasion of Kuwait by Iraq, she and President Bush assembled their potential allies. Turkey was one of the first on the list, and soon came President Assad's Syria, whom she saw as “a less savoury ally" against Iraq's Saddam Hussein. Indeed, three years earlier, just weeks after the April 1986 American bombing of Tripoli, the Syrian government had backed an attempt by a terrorist, Nezar Hindawi, to plant a bomb on an El Al aircraft at Heathrow. This too she recalls in some detail. Nine months after the night of the Lockerbie attack, she travelled to Siberian Russia on a stopover from Tokyo. Her plane refuelled at the frozen town of Bratsk. In her diary she recorded finding herself in a chilly barn-like building with local Communist Party leaders, engrossed in two hours of coffee and conversation regarding the intricacies of growing beetroot in a Russian climate. As she departed, firmly imprinted on her excellent memory was the request by Oleg, the KGB guard outside the door, who asked for a signed photograph. This she immediately provided, and then - equally quickly observed - a general request for more photographs. Yet that freezing Lockerbie hillside and town strewn with the remains of the dead; our first traumatic memorial service in Dryfesdale Parish church; repeated pleadings by the bereaved for a personal hearing at Downing Street; revelations of international terrorism on a massive scale; German, Iranian, Syrian and Palestinian reputations questioned; the most severe peace-time attack on her nation since the Second World War – all in some mysterious way were expunged from her version of British history. Among nine hundred and fourteen pages of tightly written text, hidden deep in the chronology, the reader would find but four words: ‘December 21 - Lockerbie bombing’. Such an event demanded an entire chapter of its own. Yet not a word, not a whisper. Could it be that the Lady wished to erase the event from British and world memory? That would have been a naive expectation, and Thatcher, above all things, was not naive. We bereaved sent her a respectful and polite letter, asking why her memoirs made no mention of our tragedy. She replied regally "We wish to add nothing to the text". This, from the comfort of her Chester Square home she presumed to be sufficient of a reply. “South Americans are very polite. A woman, even a widow, never goes alone into a formal dinner. And so, to make up numbers, Ricardo invited me to accompany his neighbour Margaret Thatcher. I had not spoken to her, nor her to me, for seventeen years." “She replied pleasantly: 'Tam, I'm not sorry for myself, but I am sorry for the sculptor.'" Raising the soup spoon I ventured: 'Margaret, tell me one thing - why in eight hundred pages...'"
"She purred with obvious pleasure. 'Have you read my autobiography?'" "‘Yes, I have read it. Very carefully. Why in eight hundred pages did you not mention Lockerbie?'" "She replied: 'Because I didn't know what happened and I don't write about things that I don't know about.'" "My jaw dropped. 'You don't know? But, quite properly as Prime Minister, you went to Lockerbie. You witnessed it firsthand.'" This, in a four hundred and seventy page lecture to the world, was her entire arsenal of proof that al-Megrahi was guilty of the attack. In a documentary film to be discussed in my next chapter, Thatcher was filmed while standing among the wreckage and human remains of Lockerbie. She addressed her nation: “It is very moving indeed, because there are a lot of personal possessions lying about. Speculation is not evidence. They are systematically examining the evidence.” From the assembled dignitaries came nods of shocked assent. Yet still the Prime Minister of Great Britain went to her grave claiming that she knew nothing of Lockerbie. Published by Harper Collins, November 1993. BBC television news, 22nd December 1988. It would later emerge that the bombing of Pan Am 103 accounted for 40% of all casualties in 1988 resulting from terrorism throughout the entire world. Mail on Sunday (Scottish Edition) 17th August 2009. Thatcher's knowledge of events was confirmed on 17th December 2009, in a Yorkshire Post column by her former Chief Press Secretary Sir Bernard Ingham. 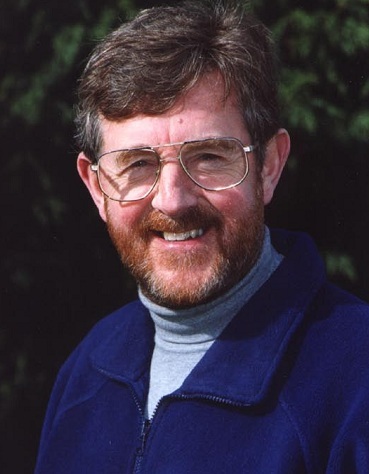 He describes the shock in Downing Street on the evening of the bombing, and an overnight journey by the Thatcher entourage to view the Lockerbie devastation. Statecraft: Strategies for a Changing World. Harper Collins 2002. In the world remember her, I for one think about them all the time. Don't be so caught up in your campaign that you miss the little things. Afterall that should be the driving force behind any campaign that the victims are not forgotten. Many thanks indeed for your kind words. We've taken them to heart, and as you will see above, we've included a lovely photo of Flora in her late teens. Peter has searched, but we cannot find your message acknowledging Flora's 50th birthday. If you could kindly give us a little more detail about where it was sent to and the date, we will be happy to include it now with an explanation as to why it was not covered earlier. To my recollection I sent the message to this website and I wrote the message on December 22nd 2014. 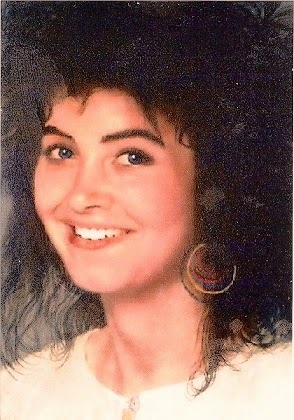 I wrote " I remember your beautiful and gifted daughter today on this her 50th birthday and always."